Samsung made the unveiling date for the Galaxy Note 8 official just yesterday (August 23), so it only seems customary that we get our best look yet at the upcoming device via a 3rd-party. The above renders you are seeing originate from smartphone case maker Ghostek, using dimensions that are supplied directly from the OEM. 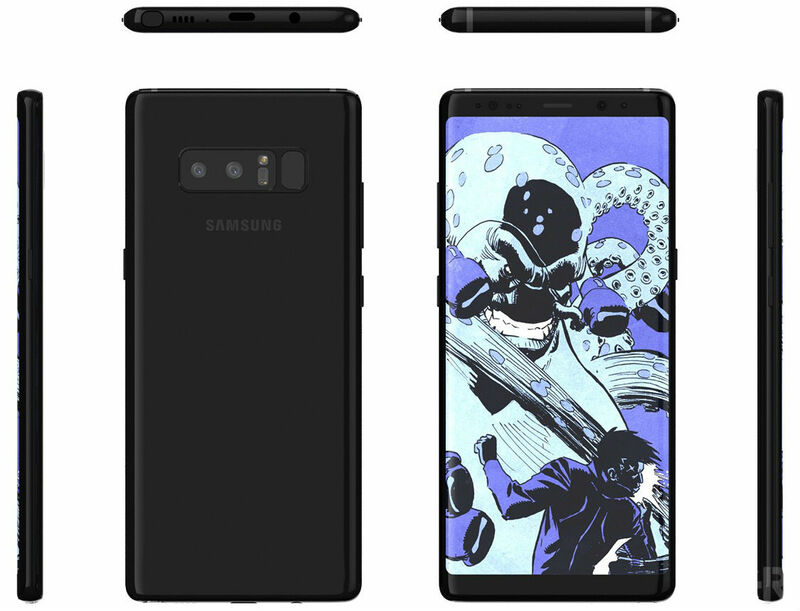 With those dimensions, designers are able to churn out exactly what a device will look like, and it should be noted, the Galaxy Note 8 looks rather nice. As we’ve already said, the Note 8 is like a Galaxy S8+, but with an S Pen on its bottom side. Additionally, the backside is showing off that dual camera setup, along with the ill-placed fingerprint reader. Other than that, its design is very similar to the S8 and S8+, which is a good thing in our book.